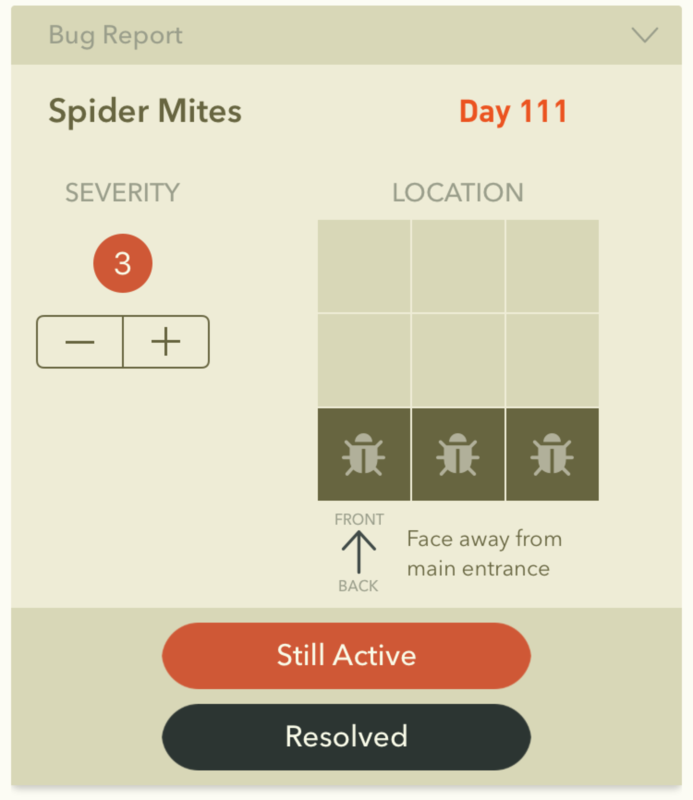 Nobody tries to get a spider mite infestation, but it still happens. 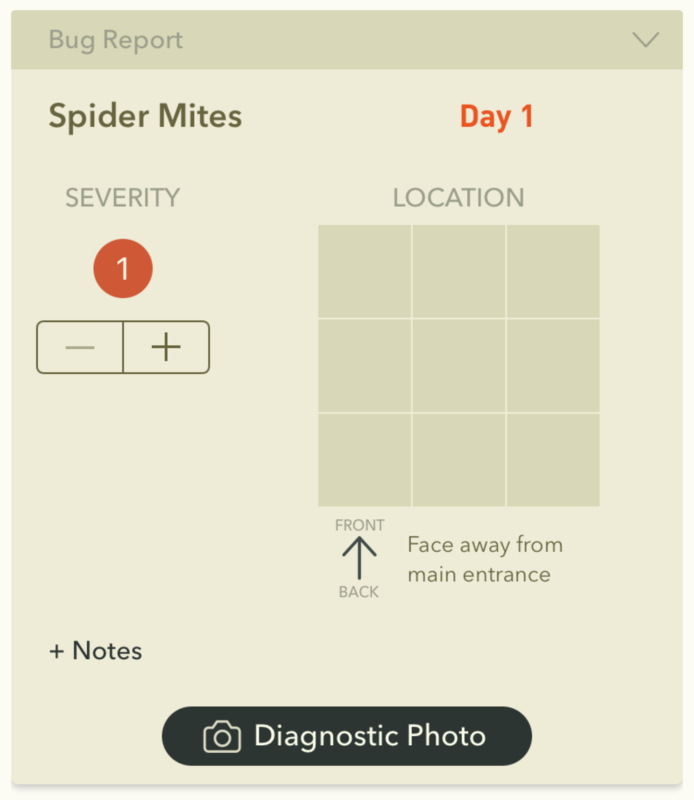 The Bug Report card helps you track a pest pressure in your garden and see it through to resolution. 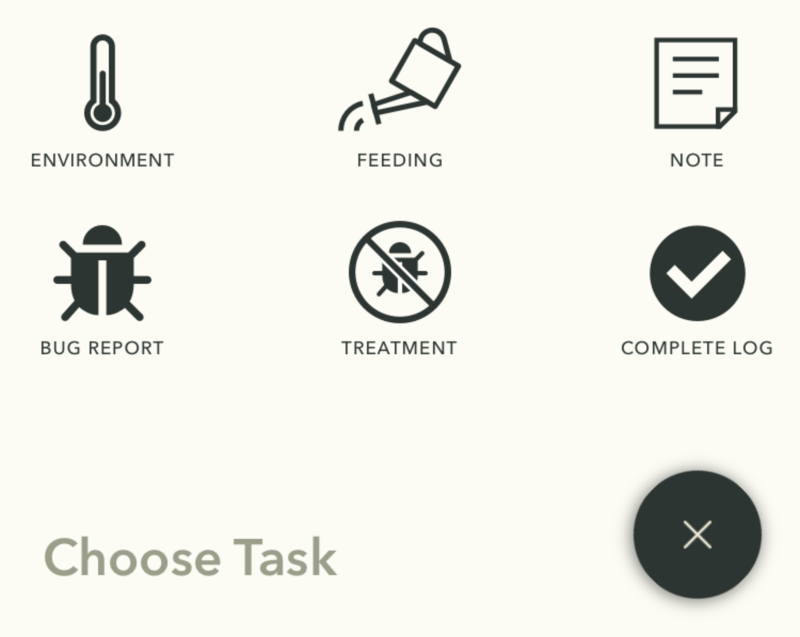 Get started by adding a task and selecting Bug Report. Make some Notes about your observations. Take Photos! This is especially important when working with a team. 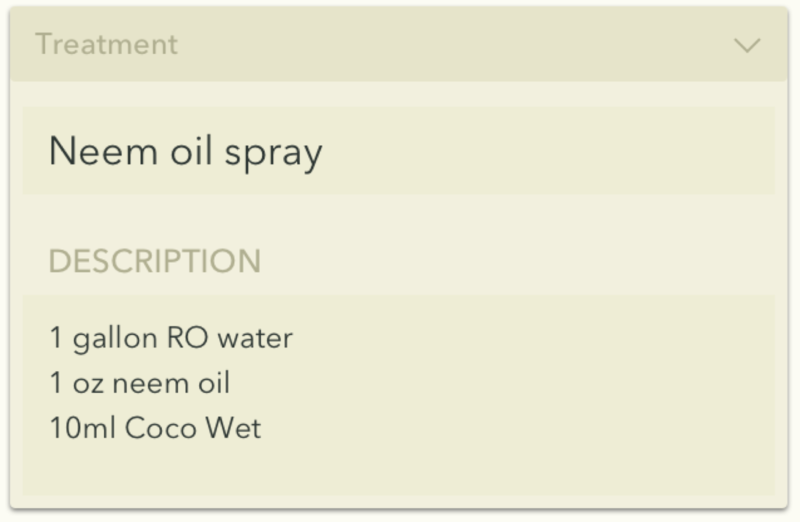 Botana automatically recommends logging a Treatment. Over the next few days Botana will remind you to check the problem and work toward a resolution. Tap Resolved if the bugs are gone. Take a few photos and make notes to confirm your observations. Tap Still Active if the bugs are still there. 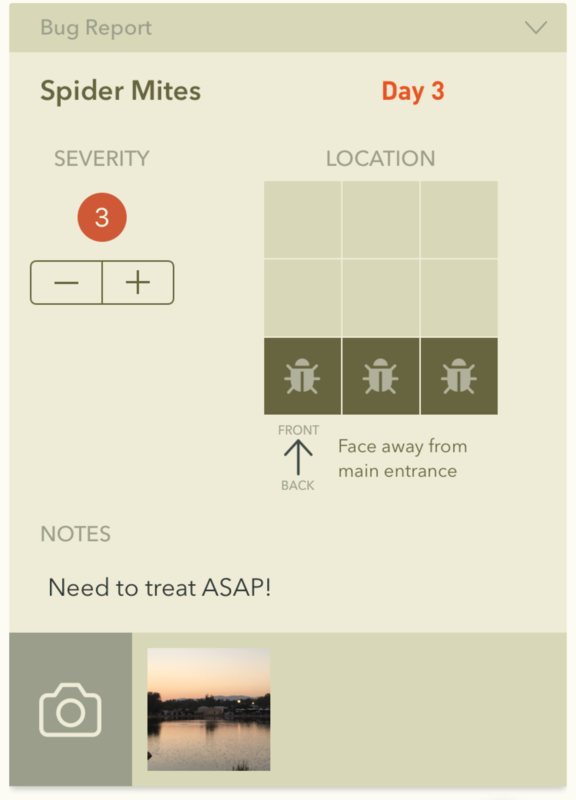 Update observations with Severity, Location, Notes and Photos. This will continue every day until you have solved the problem.